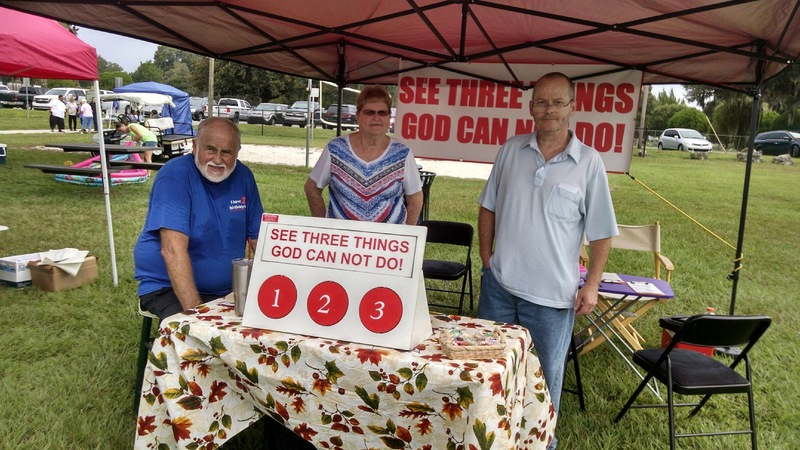 Praise the Lord for the 22 people who made decisions for Christ at the Back to School event in Dade City, Florida on Saturday. Families attended this event together. This event is to benefit children, however, parents are with them and it is a great opportunity for SOS Events to present the gospel to people of all ages. This entry was posted on August 8, 2016 at 11:30 am and is filed under Email: info@sosevents.org, Event Activity & News, Serving Our Savior, Witnessing. You can follow any responses to this entry through the RSS 2.0 feed. You can leave a response, or trackback from your own site.